The greatest retail icon in the world, Harrod's London. The food hall is a gourmet experience in its own right. The largest antique market in the world on Portobello Road. 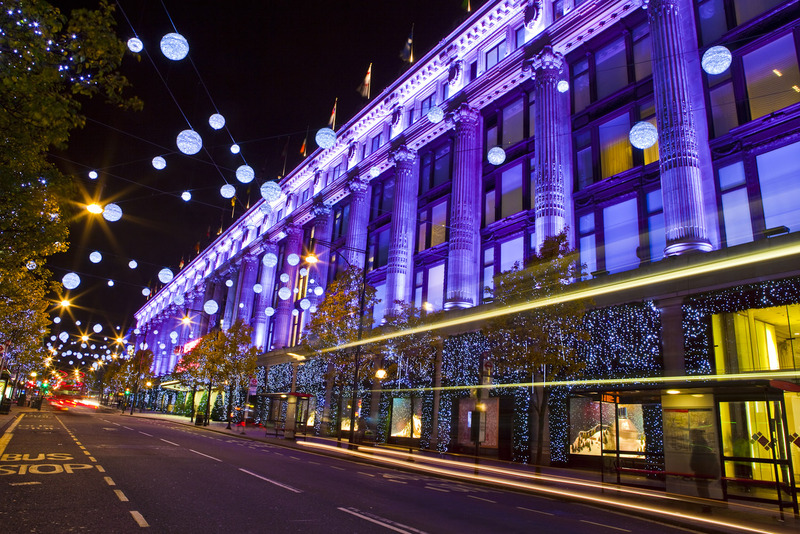 Selfridges in London is an institution. It doesn't have the profile of Harrod's or Harvery Nicks, but Selfridges has a much wider offering of street wear hip to conservative corporate. 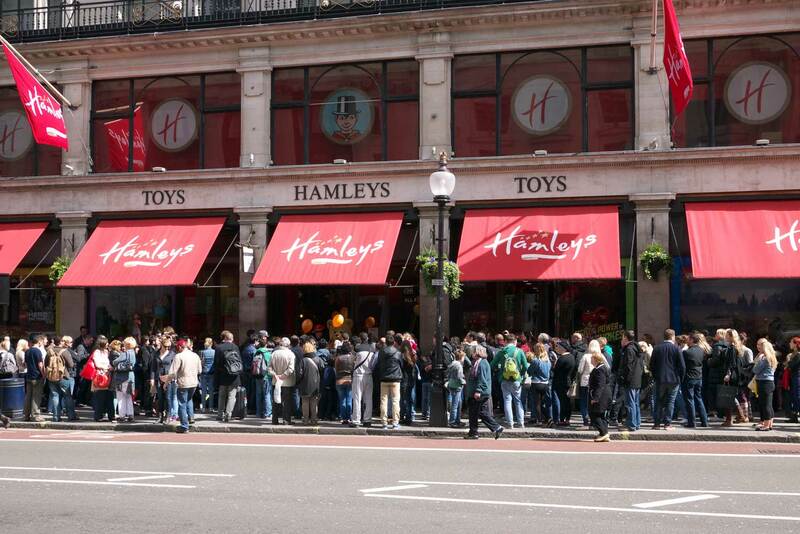 The greatest toy store in the world, Hamleys on Regent St London. 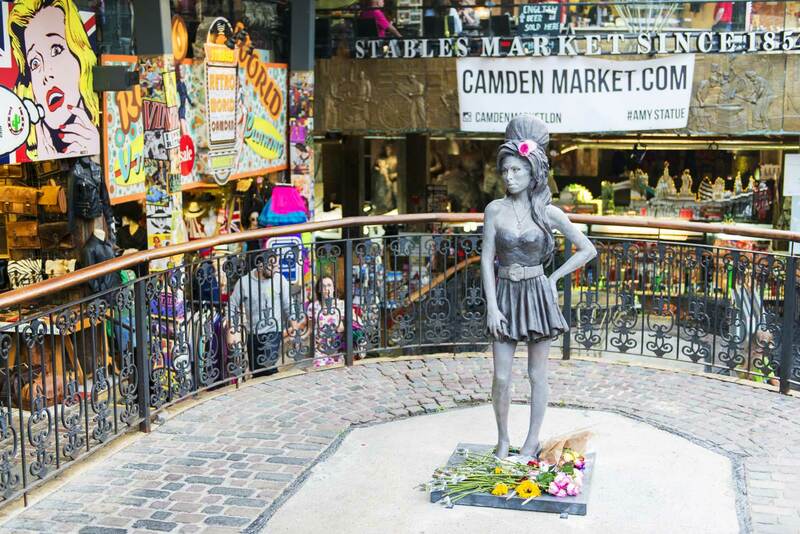 The Amy Winehouse statue at the Stable Market at Camden's famous marketplace. 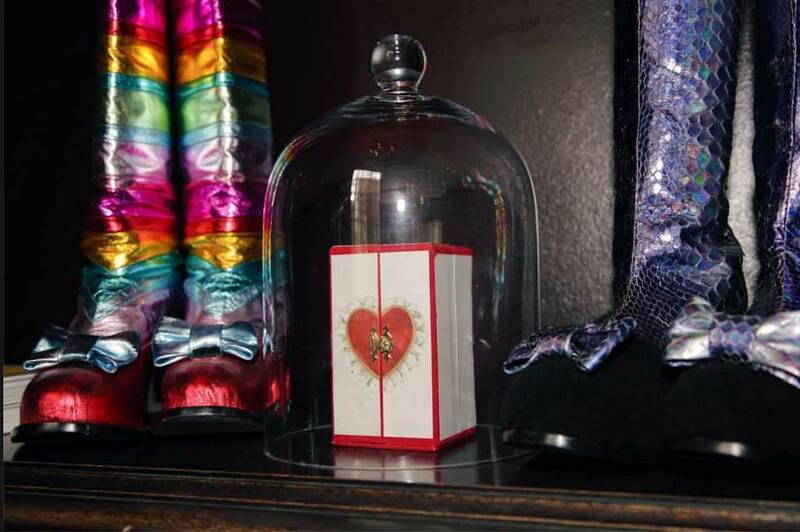 Penhaligon's is more, much more than just buying a fragrance, the artisan perfumery also has a range of beauty and home products. 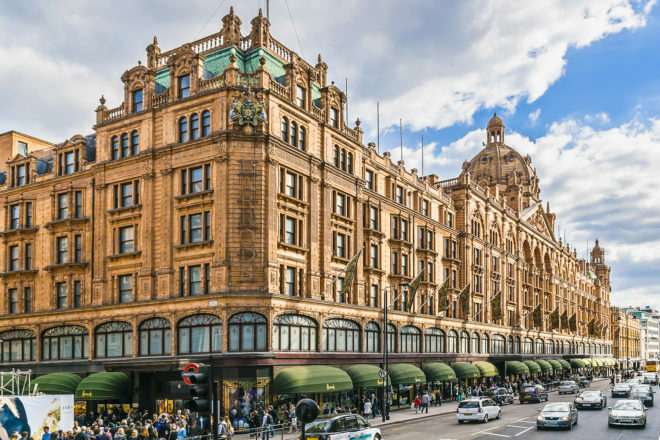 One of the shopping capitals of the world, home to the most famous retail brand in the world, Harrod’s, the world really is your oyster, smothered in caviar if you wish, in London. Probably the greatest brand in retail in the world, a wonder around Harrod’s can be ‘just another department store’ until you reach the food hall. Perhaps better categorised under the ‘food experiences’ strolling through the food hall is a mouth-watering visual and sensory assault. Have a spot of lunch at one of the many restaurants before entering the chocolate hall, otherwise your waist line could take some punishment. Just up the road from Harrod’s, ‘Harvey Nicks’ was made famous by the buffoonery of the girls in Ab Fab. But as for shopping experiences, it is preferred to its better-known neighbour. The range and selection is top notch. Pronounced German, this is the elite shirt makers and tailors of repute street. Pick up the latest styles for women and men. While you are there, take a gander at the Piccadilly Arcade which has specialty shoemakers, jewellers and other one off artisan finds of exquisite (read expensive) quality. 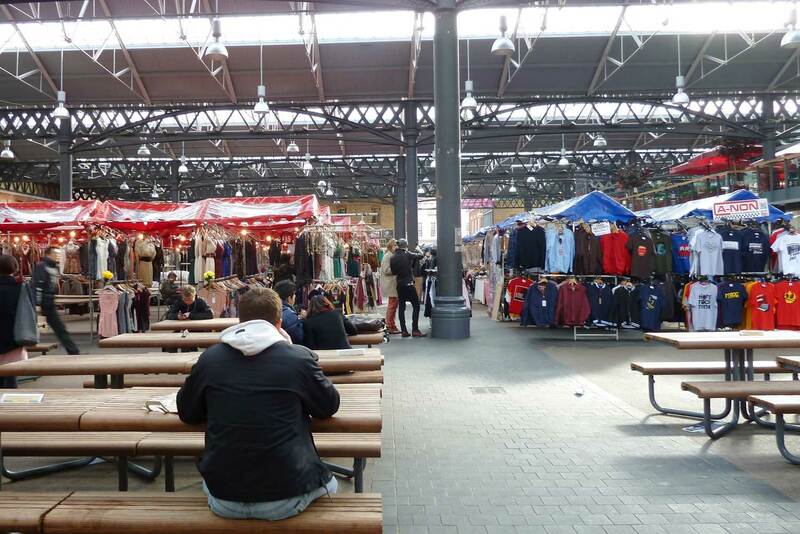 The great market of London, the Camden markets are in fact four markets in one, the largest being the Stables markets. 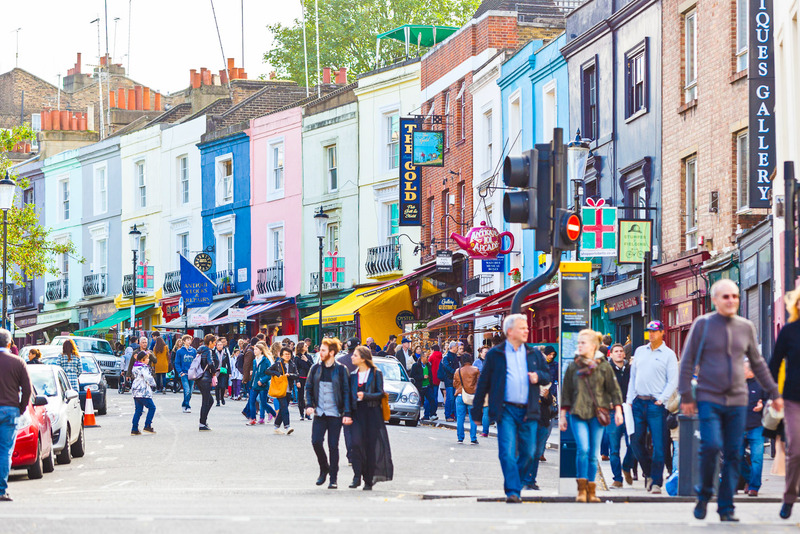 They are far less crowded during the week, but that means you lose on the better half of the experience – the ‘cosmopolitan’ London crowd who descend on the markets every weekend, plus the hordes of tourist who make it the fourth most visited sight in London. Go on an empty stomach, the eating is good. 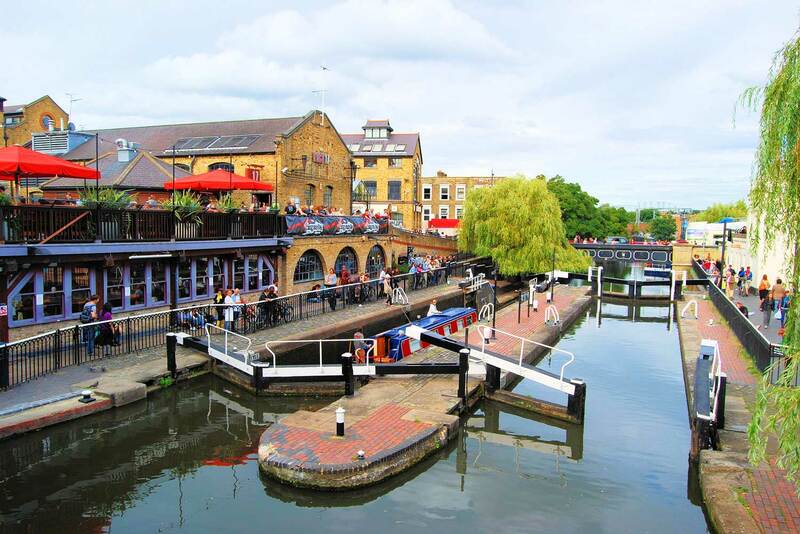 Make an effort to arrive along Regents Canal for a very underrated London experience. Afterwards stroll up to Primrose Hill for a great view over London and some more refined dining. A real life toy emporium, this is the ultimate in the world’s toy shops. Across 8 floors of giddy inducing kiddy fun, if you have any gifts to buy for under 18s, use that as an excuse to entertain your inner child for a fulfilling afternoon. Eight stores in various locations across London. Scent makers serving the world for 137 years plus, enjoy an olfactory workout trying to find the right scent for you from their entire range of 34 perfumes, made from exotic ingredients like hand squeezed Bergamot. Less touristy and crowded than the more well known markets, Camden, Brick and Borough, Spitafields has carved out a niche with fashion plus the usual nick naks, trinket stalls and food. It’s covered which makes a rainy day visit possible. Make it an afternoon activity and then move onto a night in funky Shoreditch. A more wallet friendly department store (vs Harvey Nicks and Harrod’s) on Oxford St Selfridge’s range starts at reasonably prices . You will find everything from the conservative to ultra high fashion. The food hall doesn’t quite rival Harrod’s but drop into Selfridges when needing some sustenance for one of the best kept London secrets – it serves the best salt beef sandwich in London, Europe, Northern Hemisphere, the World. The world’s largest antique market and has food and fashion, too! East End Thrift Store is a little vintage beauty selling fur coats, leather jackets etc. from as little as £10. So not in the ultra posh stratosphere of Knightsbridge but where the Chelsea wealthy go to pick up a few nick narks. Great for a day strolling amount the seriously beautiful and wealthy and occasional ‘celeb’. High end designers from around the world would’t be caught dead not on Bond St. (Remember Mayfair was the most expensive real-estate in Monopoly for good reason).